Buying a historic home gives you a great opportunity to own a unique looking home that also has some character and charm. Your home won't look like anything that your friends own because it will have unique architectural details that are likely no longer even in use. Unfortunately, many historic homes need renovations as the original materials are starting to decay. Windows are one component that often need to be replaced since the wooden sashes become warped or rotted, or the windows have become painted so many times that they are inoperable. While some purists think that you should only use wooden windows on historic homes, vinyl windows are actually an ideal choice. Not only can vinyl windows mimic the look of wood, but they can also provide more protection for your historic home, keeping out water and pests. Some people feel that vinyl looks too flat or plastic, which is why they object to it for a historic home. The Contour Series addresses this issue and produces vinyl windows that have finely sculpted lines that look more like wood grain. The windows have less glare and a softer-looking surface. 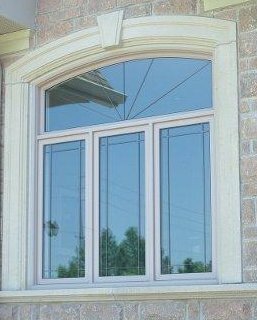 You can buy the Contour Series of windows in a variety of colors, including those that look like wood stains. Many historic homes have windows that are round or that have rounded edges. Some even have special shapes, like flowers, scallops or quarter rounds. Architectural windows provide these shapes while also giving you all the benefits of vinyl windows. Again, choosing the right color is essential for maintaining the aesthetic of your home. Most older homes came with single-hung windows, which were simple squares with a bottom sash that lifted up to open. You can buy single-hung vinyl windows to replicate this look. However, if you want to get more functionality out of your windows, consider double-hung windows. They look just like single-hung windows, but both panes of glass open, allowing you to let in more breeze and making it easier to clean them. When you are ready to start browsing styles for your historic home renovation, visit this site for reliable window replacement services in North York. You'll find all the styles you need at a price you can afford.